The Regional Natural Park is located between the former capitals, Angers and Tours. It stretches on either side of the Loire, but the greater part is in the south, where tributaries flow into the Loire. In the area of the Natural Park, the Loire is still a free flowing water without dams or locks. By preserving the natural environment, the biodiversity of the region has developed enormously. Away from the protected core zones, wine with the designation of origin Anjou or Saumur is grown. From the tuff, stones were obtained for the many castles of the Loire. The Regional Park is now a UNESCO World Heritage Site. The foundation stone for the monumental complex was laid by a wandering preacher in the 12th century. Over the centuries, the monastery has been steadily expanded, creating a whole monastic city, combining Romanesque, Gothic and Renaissance styles. In the abbey church several kings are buried, including Richard the Lionheart and Johann Ohneland. UNESCO has declared Fontevraud a World Heritage Site by stating that it is Europe's largest monastic complex. Something special is the 1000 year old kitchen, of which there are very few left. It is like the baptistery octagonal and designed neatly.In the niches you find various fire pits. 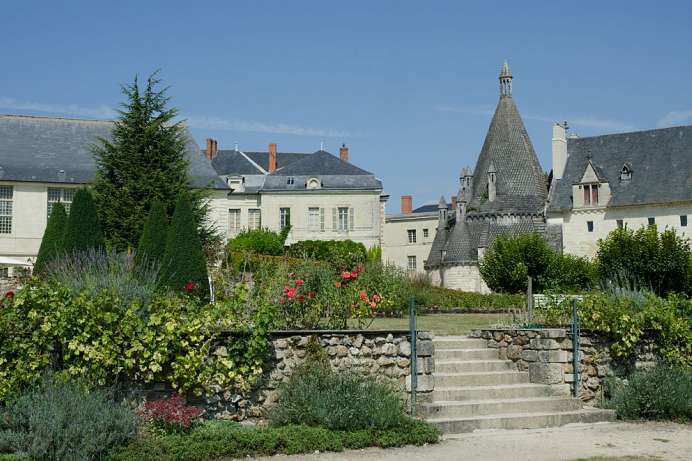 This small château was mainly constructed from the 16th to 19th centuries, but also goes all the way back to the year 1060 when the medieval drawbridge, cellar and old cave system were constructed. The caves were carved out of tuff and are accessible from a dry moat. 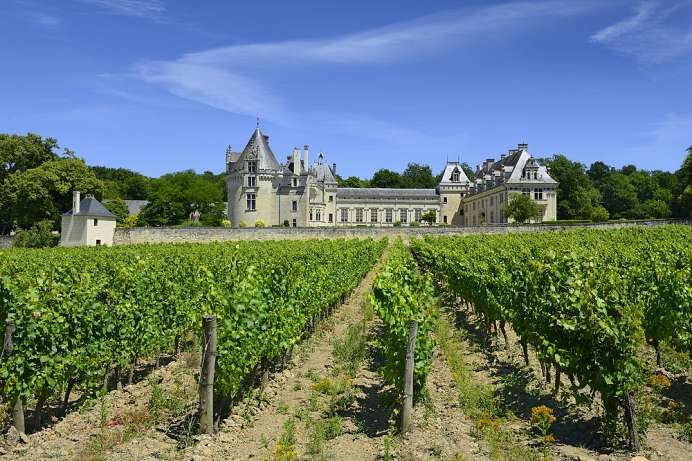 Today, the Château de Brézé is at the center of a renowned wine-growing estate covering 75 acres. The cave cellars are open to the public and include a bakery, a room for the breeding of silk worms, a wine press and a wine cellar. The medieval town on the lower Loire has an impressive cityscape especially looking from the river side. Above the quaint houses there is a mighty castle, which is supposed to be an of the most beautiful buildings on the Loire. In the 16th century Saumur flourished as the intellectual center of the protestant Huguenots. After being driven out, the city fell into a deep sleep. The academy closed and the educated inhabitants emigrated as the economy stagnated. 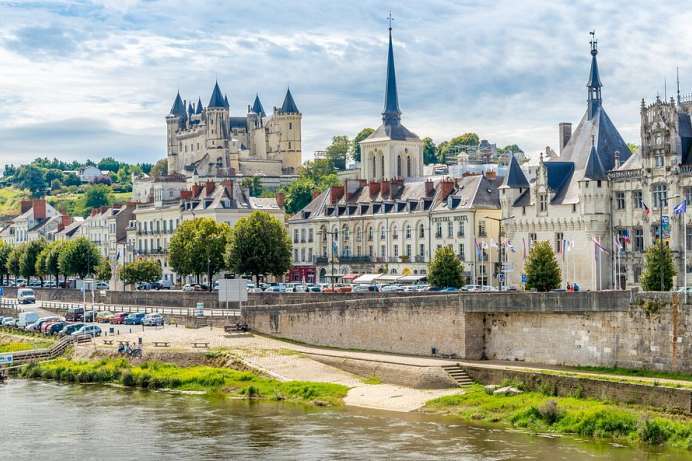 Today, Saumur is a town of 30,000 inhabitants and the center of the Anjou-Saumur wine region. On the outskirts there a,many cellars with wine and sparkling wine.